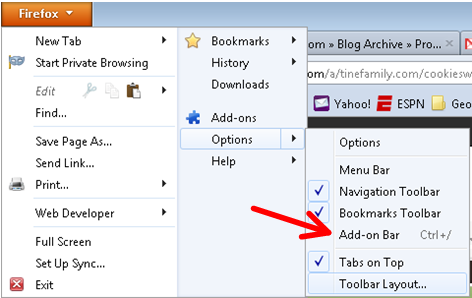 Remove/hide: You can remove the CookieSwap icon by dragging it from the browser window to the Toolbar Layout Window. Restore: You can restore the CookieSwap icon by dragging it from the Toolbar Layout Window to the browser window. Unfortunately, with the collapsed view, the only way to know which CookieSwap profile is active is to either click on the CookieSwap icon or hover over it to see the active profile displayed in the tooltip. 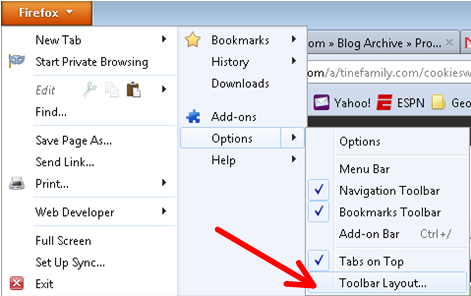 See this article for more details on customizing the Toolbar.